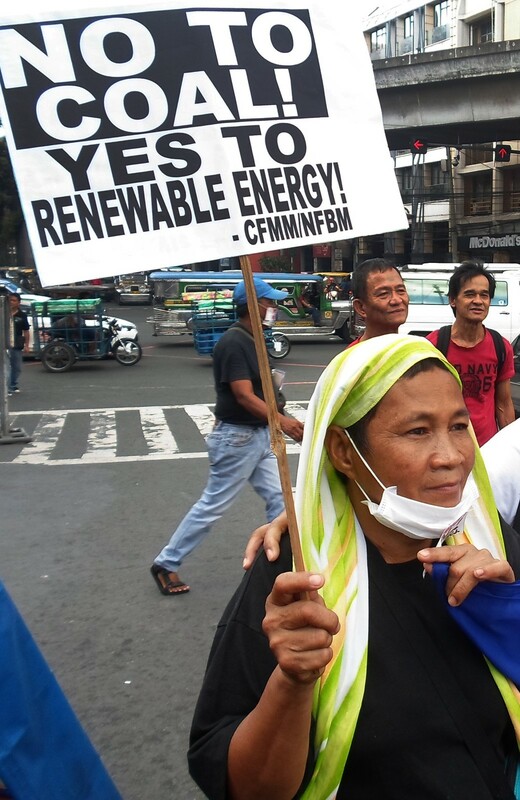 When a Philippine grandma fought a coal company over pollution, 3 bullets stopped her. But her family won’t go to police. Gloria Capitan couldn’t have imagined her fate. Her cause felt just, and her community was behind her. Besides, who would kill a 57-year-old grandmother? It had been a long two years. Since 2014, a coal stockpile down the road had been polluting her town, Lucanin, sickening her family and covering the coastline in ash. Capitan, like a Philippine Erin Brockovich, was campaigning for its closure when a mysterious man began visiting her at home and makingvague threats of violence. It happened on July 1, 2016, around 8 p.m.Capitan was in her small karaoke bar, a one-minute walk from her house, singing a saccharine pop ballad with her 8-year-old grandson, Jerson. Two men on a motorcycle pulled up outside. One entered, a yellow handkerchief covering his face. He shot Capitan three times — once in the arm, twice in the neck — then he fled. Jerson looked on, screaming. The world is experiencing an epidemic of environmental killings, and it’s getting worse. In 2016, 200 environmental defenders — anti-mining activists, indigenous protesters, workers for nongovernmental organizations — were killed worldwide, according to the London-based nonprofit Global Witness, more than any year since the organization began collecting data in 2002. This year, an estimated 150 had been killed by October, meaning the toll could be higher. In Asia, the Philippines topped the list. At least 28 Philippine environmental defenders were killed in 2016, most of them anti-mining activists. This year, the death toll has reached 18, according to Global Witness. In January, Mario Contaoi, a radio reporter, university lecturer and outspoken environmentalist, was shot while riding his motorcycle. In February, Renato Anglao, an indigenous activist on the southern island of Mindanao, was killed while fighting efforts to establish a plantation on his ancestral land. In March, Ramon Dagaas Pesadilla, an anti-mining activist, also on Mindanao, was shot to death at home with his wife. In the 18 deaths this year, no perpetrators have been identified. Bataan province, population 760,000, is a swath of emerald hills and fishing villages not far from the Philippine capital, Manila. Internationally, it’s best known as the staging ground of the Bataan Death March, in which Japanese troops forced defiant American and Filipino soldiers inland during World War II. At home, it’s also known as a hub for power generation. The Philippines is one of Asia’s fastest-growing economies, and its government is exploiting cheap, convenient fossil fuels — especially coal — to fuel that growth. The country has 32 coal-fired power plants, and it’s planning an additional 25 by 2030. Bataan is home to three coal-fired power plants and one oil refinery, which together generate more than 2,000 megawatts of electricity, enough to power 1.3 million American homes (and many more Philippine ones). They’re owned by both local and international companies; one plant is owned by the domestic San Miguel Corp.
With new projects planned in coming years, the province’s energy output is expected to more than double, but as with coal plants around the world, the extra power comes at the cost of unhealthy air emissions and a sprinkling of soot. Power plant owners said they were working to hold down emissions, but even the cleanest plants mean more pollution — and Bataan now has plenty of them. “The power plants here, they’re like mushrooms after rain,” said Alvin Pura, 37, a landscaper in the town of Limay. Capitan was a hard worker with a simple life. Her 60-year-old husband, Efren, suffered a stroke in 2013, leaving her with outsize responsibilities in supporting her five children and 18 grandchildren. She cooked, cleaned, collected firewood, took care of Efren and bred pigs. In 2014, she opened a roadside convenience store, a two-minute walk from her home, where she sold sodas and French fries for additional income. That’s where the conflict with the energy companies started. A thin patina of black coal dust, almost certainly from a nearby stockpile, had begun covering the countertops and floor of her store. Capitan would clean it, but the toxic dust would always return. That May, the Mariveles sanitation department inspected her shop and ordered it closed. The inspector was sympathetic. He advised her to lodge a complaint against Seafront Shipyard and Port Terminal Services, a Philippine company that helps supply nearby power plants with coal and cement imported from Indonesia. That year, Seafront had opened the coal stockpile a short drive from Capitan’s home — a long pier covered in heaps of the fossil fuel. Capitan decided to act. She circulated a petition calling for the stockpile’s closure, and about 1,000 people signed it. Yet the company didn’t respond, so in January 2015, she formed a loose-knit advocacy group — the United Citizens of Lucanin Assn. About 30 neighbors joined. Meanwhile, the pollution seemed to be getting worse. Her grandchildren suffered constant asthma attacks, chest colds and skin rashes. Her mango and coconut trees withered, their leaves thick with dust. When it rained, black sludge dripped from the rooftops and formed puddles in her courtyard. Capitan threw herself into her cause. She petitioned, protested, deluged the company with calls. She continued to run the family business, converting her shop into a karaoke bar, which didn’t require such strict health certification from the city. Capitan’s advocacy had some impact, at least while she was still alive. In May 2015, in response to Capitan’s petitioning, Mariveles’ sanitary inspector ordered Seafront to cover its coal stockpile, and the company installed a large, warehouse-style structure on the pier, reducing atmospheric dust. Officials from the power plant declined to comment on the health reports. A short drive away in Limay, locals complained that a 600-megawatt expansion at the San Miguel-built coal-fired power plant had destroyed several vegetable farms, and about 2,000 trees, because of soot pollution. In December 2016, the PhilippinesEnvironmental Management Bureau sent a notice of violation to the plant, ordering it to halt emissions while activists’ claims of environmental pollution were investigated. Yet months later, residents were still complaining about pollution. “I worked in the plant for a month, and I think I got sick seriously because of the plant,” whispered Gerald Respicio, a deathly thin 26-year-old, as he lay in his home near the plant, recovering from tuberculosis. He said he has received no compensation. His direct employer at the time, the contractor SM Blooming Phils, could not be reached for comment; its one publicly listed number is disconnected. Respicio and a Philippine corporate records website said the company has since closed. “Her answer was a big ‘no,’ ” Mar recalled. The man came to the house “three or four times” altogether, Mar said, but each time, Capitan rebuffed him. In May, Carlo Ignacio, Seafront’s vice president for operations, called Capitan to his office. Several members of Capitan’s association — including Nanding Fernando, 65 — waited outside as they met, Fernando said. Afterward, she recalled, Capitan told the group that Ignacio had urged her to halt her group’s demonstrations. It is not possible to verify firsthand what happened in that meeting — Ignacio did not respond to repeated attempts to contact him. 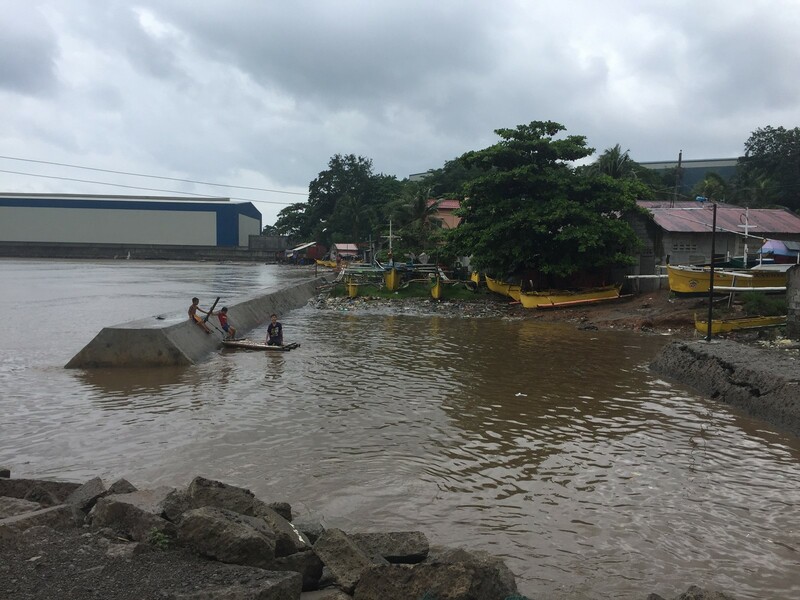 Four public numbers for Seafront were disconnected, and a Los Angeles Times reporter was turned away at the company’s guarded compound in Mariveles. One Seafront employee, reached via intercom, said that only Ignacio could comment on the case — but Ignacio was not available. In a July 2015 article in the Manila Bulletin, Ignacio criticized an unnamed family — most likely Capitan’s — for launching a petition against the coal stockpile operated by Seafront. “It is not us who will suffer severely but it is the public (due to power shortage) if the shipment of coal is stopped just because of the whims and caprices of this couple,” he told the newspaper. In the Philippine press, the company has defended its record on community involvement, while sidestepping allegations of pollution. Seafront donated two fishing boats to two groups of fishermen, “complete with fishing gears and gadgets,” the newspaper Punto! Central Luzon reported in 2015. That year, the Manila Bulletin newspaper reported that Seafront had constructed churches in Bataan “worth millions of pesos,” sponsored charity healthcare projects and donated food to malnourished children. The article did not address citizens’ complaints about pollution, but reported that Seafront had been providing direct and indirect employment to 1,500 locals. “Heaven knows what we’ve been doing,” Ignacio told the newspaper. It seemed clear that someone was targeting Capitan. On the day after Duterte’s inauguration, Efren and Mar were sitting at home in the evening when they heard three gunshots. Mar ran to the bar and saw his mother’s head tilted back, blood pouring from wounds in her neck. He and his brother Jerson jumped on motorbikes and chased the killers, but soon lost sight of them. Then they went to the police. The police, Efren said, seemed reluctant to investigate. “There was speculation around the community that maybe she was killed because of drugs or a land dispute,” he recalled. “They didn’t want to admit it was because of the environment.” He said police didn’t even investigate the crime scene; family members retrieved the bullets themselves. He suggested that the force considers Capitan’s case sensitive. “The victim is a leader of a pro-environment group. That’s why the community is aware of the case,” he said. He said the police never received a formal complaint from the family, and had to open one themselves in order to launch their investigation. Mar said the family hadlittle confidence that filing a complaint with the police would lead to an arrest — and confronting the authorities might cause the family more trouble, he said. Efren’s medical condition hasn’t improved, and “we don’t want another parent to die because of stress and pressure,” Mar said. “We think Gloria is already at peace now, and we’re scared for our children,” he said. Special correspondent Yas Coles contributed to this report.